We are a husband and wife team that truly enjoys what we do! 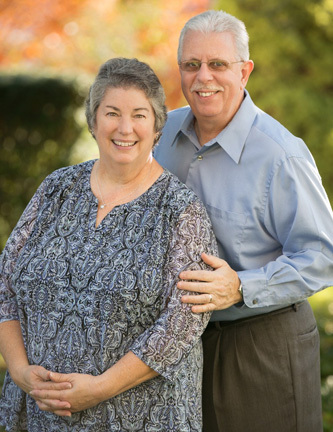 We have been married for Forty-two years and in business together for twenty-nine. We are the parents of three adult children and two adorable grandchildren. When not working, we enjoy having fun with family and friends, traveling, and volunteering in community organizations. Dave served on the Village Board for twenty years. He is co-chair of the Celebrate Commemorate Memorial Day Committee. Darlene enjoys nature photography and gardening. As co-chair of the Waterloo In Bloom Committee, she jokes that her garden has grown to include the whole Village of Waterloo. Members of St. Francis & St. Clare Parish, Darlene also serves on the Parish Council. Dave is the lead videographer and editor at Duprey Video Productions. Darlene is the business manager and second videographer for multi-camera events. The majority of our work comes from the referrals of clients. We enjoy producing a variety of videos, including corporate videos, documentaries, and various special events, but preserving memories is the most satisfying. We can also preserve your memories by converting and transferring your home videos, shot on film or tape, to DVD & Thumb drive! Lets talk about your project! Give us a call, we will be happy to meet with you personally and help you design your own unique video production.